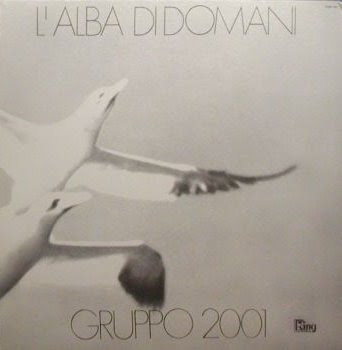 One of the few professional bands to come from Sardinia, Gruppo 2001 were formed around 1971. After a successful appearance at the Disco per l'Estate TV festival with Messaggio, the band released their only album in 1972, that, starting from their typical melodic pop style, had more ambitious and prog-inspired arrangements. Mainly acoustic but with some good keyboard parts by the leader Piero Salis, the album went totally unnoticed, and the group followed its career with some other commercial singles. Salis left in 1974 for a solo career (as Piersalis, with the album Plancton in 1974 again on King, and later as Piero Marras), while the others kept playing until late 70's. I can't believe this is here! How cool! Sweet, rather pastoral melodic-symphonic prog w/ nice pop-style vocal harmonies.